Featuring Kerry Washington as Shuri! It's been over a month since Marvel Studios' Black Panther first hit cinemas and proceeded to dominate both the box office and public conversation, but the hype has hardly died down. Just last week, the movie breached the $1 billion mark worldwide, making it one of the highest-grossing films of the Marvel Cinematic Universe. On top of that, our feeds are still rife with Black Panther-themed sneakers, Erik Killmonger thinkpieces, "Shuri as Iron Heart" theories, and "Yaaas Kween" tributes to the Dora Milaje. 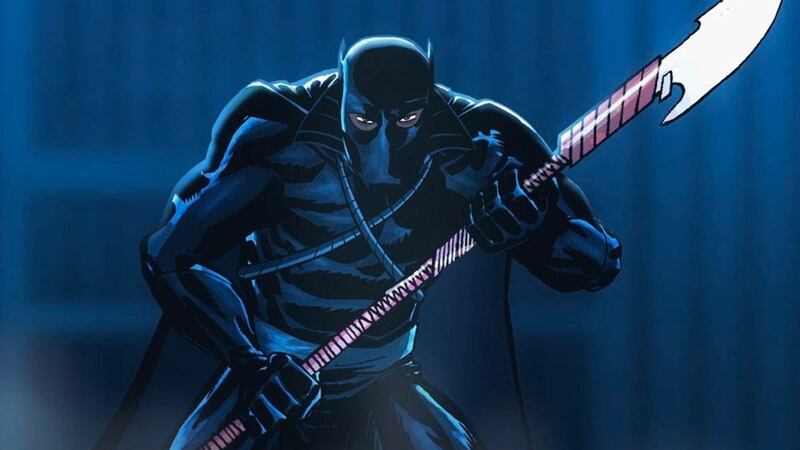 The Black Panther himself has never been a more popular and widely-beloved character than he is today. Marvel Knights' Black Panther is a six-episode motion-comic series that was originally aired in Australia in 2010 and in the States in 2011. The show features Djimon Hounsou (of Blood Diamond and Guardians of The Galaxy) as the voice of T'Challa, and Kerry Washington (of Scandal) as the voice of Shuri. It tells the story of how T'Challa becomes king and must defeat Ulysses Klaw and his group of supervillains, who are trying to overthrow the Wakandan government. Each episode is about 20 minutes long, so the entire series is perfect for a quick two-hour binge or for staggered lunchbreak viewing. All the newly minted fans of Black Panther would do well to explore the character beyond his appearance in the MCU, and now that this Marvel Knights series is up on YouTube, it's an easy (and free!) place to start.